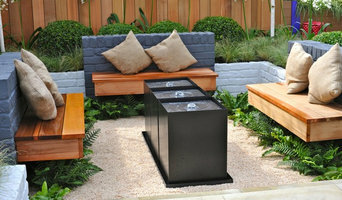 We are an award winning bespoke landscape design & build company based in the North West of England. 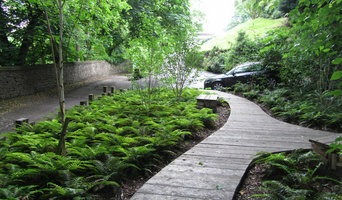 We specialise in design & construction of unique gardens & driveways, no matter the size. We have Degree Qualified 3Dimensional designers & award winning construction teams who work together, with our clients, to create unique outdoor living spaces & quite literally Bring the Indoors Outdoors! So please give us a call today for your free 3Dimensional design & quotation! Jacquetta has designed and implemented many and varied projects: rural landscapes: tiny courtyards; overgrown suburban retreats; gardens of awkward shapes and poor soil conditions arising in new developments or resulting from house extensions; kitchen gardens and orchards; open rocky moorland; wooded valleys; native species planting; green roofs; an arboretum. Based in Macclesfield, Cheshire and involved in projects across the UK, Branching Out Two Ltd is a design and build landscaping company. Working closely with clients, we can provide a complete service from initial design through to construction, with on-going consultation to ensure requirements are fully met. Director involvement from briefing to completion ensures a high quality of service and final product. Fantastic garden & landscape design at affordable prices! 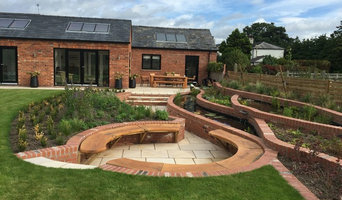 Established in Stockton Heath, Cheshire with over 25 years experience in the landscaping industry, Garden Projects landscapers have built a reputation based on recommendations from satisfied customers. We specialise in all aspects of hard and soft landscaping including Indian stone patios and driveways, block paving patios and driveways, self binding gravel driveways, bonded gravel driveways, hard wood decking, softwood decking, composite decking, garden design, turfing, fencing, rockeries, garden walls, water features, pergolas and decking. Rycroft Associates specialises in high quality detailed design. Our ethos is that each of our schemes will be crafted with care and total commitment regardless of the size of the budget. We attach particular importance to design excellence and careful project management and with our breadth of experience and skill we aim to ensure that the very best design solution is reached for each project. We offer a wide range of services working as the sole designers or as part of a multi disciplinary team, particularly where the variety of skills of our co-professionals can complement each other and act as a catalyst to produce an innovative approach to any project. In certain circumstances we are also able to offer a design and build service working together with a team of experienced Landscape contractors to create a tailor made scheme. Established in 1968 Hultons is a leading provider of fully integrated landscaping solutions from design concepts to landscape construction projects. Our purpose built premises in Cheshire allows us to serve a large area of the North West, Midlands and South Yorkshire and puts us in easy reach of a number of major cities. As a fully registered member of The British Association of Landscape Industries (BALI), we pride ourselves on our environmentally sustainable approach in producing and maintaining environmental and ecological landscapes, with our multi-skilled direct workforce and sub contract network. 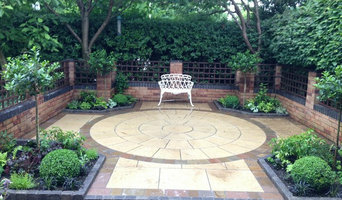 Earth & Stone Garden Design creates stunning, unique gardens throughout Cheshire and surrounding areas. 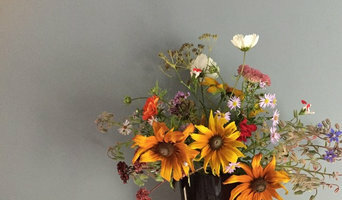 Whether you’re planning a new garden, renovating an old one, or want to make some small changes, we can inspire you and help you crate a garden you will love. However large or small your outdoor space is, we will work closely with you to create a individual, beautiful yet practical garden to suit your needs and budget.